Participating for the first time at 4* level, young French star 23-year-old Thibault Fournier amazed everyone with his performance in the show jumping final yesterday, at Pau CCI4*. Winning the title in Pau this year was a particularly amazing achievement, as Fournier was competing against the best riders in the world, and finished ahead of British squad World Champion, Gemma Tattersall. After a series of unexpected twists that really shook up the leaderboard after the cross-country competition on Saturday, the riders really had to stay focused and take the pressure as they faced the final test in the equestrian 4* triathlon. The show jumping final drew in the crowds despite the gloomy weather. Horse and rider combinations had to contend with a series of high and extremely technical obstacles – unprecedented in their difficulty according to some of the leading riders – which kept spectators on the edge of their seats right up to the last minutes, as the competitors set off in the reverse order of the provisional ranking. The French staff were also extremely proud of talented rider Clara Loiseau – who was also starting out at this level – as she completed the podium with Won’t Wait and reminded everybody that she would be a rider to be reckoned with in the coming years. Another noteworthy performance was that of French rider, Alexis Goury (in the reserve squad for the Tryon World Equestrian Games) who ranked seventh with Trompe l’oeil d’Emery. This morning, Gireg Le Coz withstood the pressure with his loyal accomplice Aisprit de la Loge, who had already given brilliant performances in the 2* eventing competitions this season. 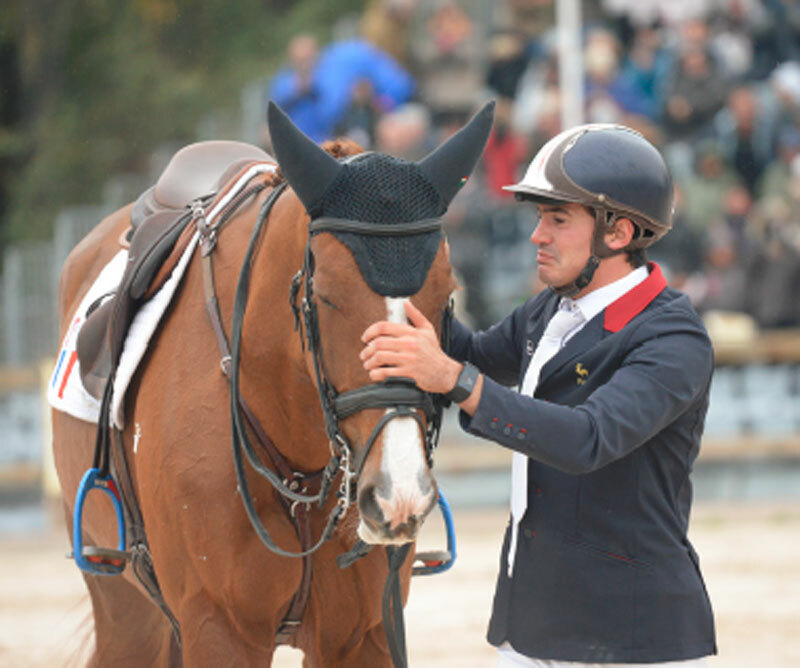 Assiduously focused to avoid any penalties, he left the arena with only one time-penalty and the victory for the CIC2*. After incurring a penalty for knocking a bar off, Héloïse Le Guern, second in the provisional ranking yesterday, was relegated to 4th place, leaving an open playing field for her compatriots Astier Nicolas on Arpège du Mancel and Igor Jamain on Harrison DN Z, who took 2nd and 3rd place respectively. Midday saw the carriage drivers battle it out in a marathon, always a very spectacular test by virtue of the sheer speed and skill required. Having taken the lead immediately after the dressage competition, French driver Marion Vignaud finished 2nd in this test, but maintained her overall lead thanks to brilliant performances in the two days leading up to the finals. Resounding victory for Marion in this CIAO4*, followed by Rudolf Pestman (NED) and Jean-Michel Olive (FRA).